What threat from Mali’s Islamist groups? the so-called al-Qaida menace appears to be a ragtag coalition of Tuaregs, gangsters and dissidents, armed with weapons mostly released by Nato’s regime change in Libya. They managed to grab a barely accessible Saharan base, but have melted away at the first sign of serious opposition. Tom Stevenson on the website of the UK monthly Prospect claims these groups pose no “existential threat” to the West and its interests. British former diplomat Carne Ross states that while the armed Islamist groups across Africa may be collaborating, there is “no evidence of a coordinated network with international terrorist ambitions.” Unlike real terrorists who fight for global jihad, Ross claims, Africa’s jihadist groups have strictly local origins and local agendas. Such skepticism has also been voiced in official circles in Washington. The French government, by contrast, has taken the Saharan terror threat very seriously for some time. According to the French weekly Le Nouvel Observateur, members of the departing Sarkozy administration in May 2012 informed François Hollande’s defense staff that “the French people don’t know it, but the risk of [terrorist] attacks coming from this region are very high.” Since 2009, these sources claim, French intelligence services thwarted three planned attacks on French soil and five attempts to infiltrate jihadist fighters. Today, after a week or two of calm in most of Mali, it’s apparent that reports of violent jihadism’s demise in the country were greatly exaggerated. Over the weekend, the northern city of Gao was the scene of Mali’s first-ever suicide bombings: two separate bombs exploded, one involving a jihadist on a motorbike, the other a jihadist on a donkey. Malian security forces carried out arrests on Saturday, then on Sunday engaged in fierce firefights with Islamist rebels; news footage from France2 (below) shows French armor and helicopter gunships coming to the aid of Malian troops in the city. The Movement for Oneness and Jihad in West Africa, an offshoot of Al Qaeda in the Islamic Maghreb (AQIM), has claimed responsibility. There’s a tendency among some analysts to dismiss AQIM as a primarily criminal enterprise, more concerned with its lucrative smuggling and kidnapping activities than with jihad. I used to think this way, but now I’m not so sure. For those who want to learn more about AQIM, I recommend two books. 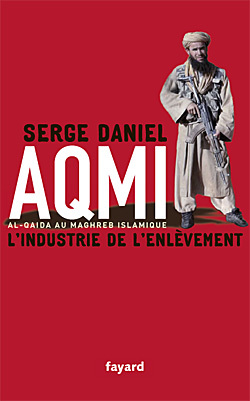 The first, published in French last year, is Al-Qaida du Maghreb Islamique : L’industrie de l’enlèvement, by the Franco-Beninois journalist Serge Daniel. Daniel, the veteran West Africa reporter for Agence France Press and Radio France International, spent over two years interviewing the region’s security officials, political leaders, and even detained radicals. His book minutely details AQIM’s origins in the Algerian civil war and its decade-long history of kidnapping Westerners for ransom, a strategy that has netted the organization up to €100 million by some sources. (In this regard, the supposed bombshell revelation by a former U.S. ambassador to Mali that France had paid ransoms to AQIM came as no surprise.) Somewhat less thoroughly, the book also outlines AQIM’s Algerian-dominated command structure, its involvement in drug smuggling, its finances, its ideology, and its recruiting methods. (The AQIM fighter’s average age, Daniel says, is 16 years; reports of child soldiers in the Islamists’ ranks have been legion both in Malian and Western media). The book portrays the group’s members as driven first and foremost by intolerant dogma and virulent anti-Western zeal. At the onset of Operation Serval last month, AQIM was estimated to have up to 1000 fighters. (Its allies had a few thousand more; some have reportedly turned up in Darfur, others in Libya, while still others have no doubt sought safer careers since French airstrikes began.) The organization seeks to “internationalize the conflict as best as they can,” according to an EU adviser quoted in The Washington Post. In addition to its role in orchestrating January’s In Amenas attack, AQIM brought fighters from Nigeria’s Boko Haram to train for several months in Timbuktu. Al Qaeda in the Islamic Maghreb and its partners in the region may not have held their ground against the French army and air force last month, but they are by no means vanquished. Reports indicate that they carried out an orderly withdrawal to their desert stronghold, where they will be exceedingly difficult to find and kill. They are ideologically driven and flush with cash. They have the desire and growing capacity to sow terror and instability throughout West Africa and the Sahara. In light of the renewed violence in Gao this weekend, it would be prudent to expect them to put up a determined, bitter fight lasting not weeks, not months, but years. 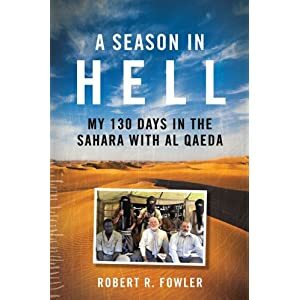 If they are not eliminated or effectively contained, and if what Daniel and Fowler have written about them is at all accurate, there’s no reason to believe they’ll be content to remain in the Saharan sands and leave the rest of the world alone. Postscript, 14 February: A description of life under Islamist rule in Timbuktu, based on Arabic-language court documents discovered in that city, appears on the website of Foreign Policy. Rukmini Callimachi of the Associated Press describes an AQIM “manifesto” left behind in Timbuktu. 8 Responses to What threat from Mali’s Islamist groups? I think with AQIM, it comes down to a “do as I say, not as I do” approach to Jihad. Although there more certainly is a zeal amongst the senior leadership that shouldn’t be discounted, the predominant activity for the group remains overwhelmingly criminal in nature. The wildcard here remains MUJAO, and how that group, with its more local Malian routes in the Gao region, will be able to continue its terror campaign. As an opening salvo, two SIEDs and what amounts to a section of fighters is somewhat underwhelming. The key will be when the highly capable French forces are replaced by African troops in the coming months, and how the Malian government addresses the longstanding grievances of local actors that will dictate how ‘existential’ a threat these groups will be; not necessarily for the West, but for Mali and the Trans-Sahel. Thanks for another thoughtful entry. The part about AQIM reminded me–as did your entry entitled “Barbarians at the Gate”–that I had read recently of how the ranks of the group were mostly made up not of Arabs, but rather of Kabyles, who were Berbers from Southern Algeria. To some, making the distinction in the context of Mali might be “splitting hairs”; still, I wonder if the conflict could be better-understood if Africa scholars (and the media) were to emphasize the similarities among the various militant groups rather than the differences: ethnic Berber groups with long-standing grievances toward their respective govts, battle-worn, alienated, and drawn to Islamism as a convenient avenue for expressing those grievances VERSUS the usual “invaders” and “rebels” paradigm (To be fair, pundits will often include Ansar Dine in both of these categories). I wanted to purchase the Season in Hell book; unfortunately, it is NOT available anywhere other than on Amazon as a used book. No Kindle edition, no new copies available via Amazon, Barnes and Noble, etc. It’s barely a year old; why has it been essentially removed from the market??? It was published in Canada only, I believe you can purchase it on Amazon.ca. I got Serge Daniel’s book on Amazon.ca as well–it’s cheaper to do that than to have it shipped from France. I purchased a new paperback copy of A Season in Hell recently via Amazon.ca. It was received in good order very quickly. Highly recommended reading.